Hurricane Submerging New York — who could have seen it coming? The idea actually goes back to James Hansen — Millar Fillmore’s Bathtub has that story. Still busy with power out in New Jersey for the week, so will be brief. Who could have seen it? Everyone, if they were paying attention. In the shorter term, we spotted it days before it became news. I was fascinated by the parallel bit that went straight north. Just to nitpick, that’s Millard with a D.
Has his question been answered yet? The other point is that as sea level continues to rise, at some time, before the ice cap on Greenland is completely melted, we will have abandoned New York and other coastal cities such as Washington DC, London and Shanghai. Do you think that we have a moral obligation to consider these calamities that will impact future generations in formulating our energy policy, Mr. Candidate? Thanks, Tamino–I’m spreading that link around! I fear governments, now being post-modernist post-interventionist market orientated demand supplying beasts, prefer to respond to disaster rather than meeting the public good for predictable & avertable disasters. What to do? When I studied chemical engineering in the early 1970s global warming caused sea level rise was seen as a very real issue. However, when I was working in NYC in the late 70’s, “underground” was seen as a safe place to put all kinds of electronics. It was not only the subways and roads the flooded, but also a very large number of underground “vaults” that hold the controls for elevators, communications, & pumps. This morning, I bet a lot of people wish all those electronics had been put on the roof or on the 13th floor. This point gets to something that has been bugging me for days. All of the commentary I have heard on TV and radio seems to suggest that it’s just a matter of pumping water and that’s that. Having spent a lifetime living and working a stone’s throw from seawater (and sometimes over and in seawater, I know intimately the effects of salt on electrical/metal components. I assume that the floodwater is at the least very brackish. How on earth can the flooded systems be cleared of salt to the extent that corrosion is not going to occur weeks, months, and years into the future? Having seen what happens to vehicles that experience a transient bath in seawater I have all sorts of visions of corroding cities in decades to come. And if my gut feeling that this event will be equalled or topped in just two or three decades at the latest is realised, I can’t see how it’s possible to avoid a rewiring and rebuilding bill that will place an intolerable burden on these communities, especially as the costs of oil and other resources, and indeed the functionality of the economic systems driving these communities, changes into the future. Exactly, Bernard. Virtually every piece of electrical gear in the subway tunnels that flooded will need to be replaced before through service can resume. This will include the train detection system, the signal system, the automatic train stop system, and every switch motor and electrical interlocking in the flooded portions, not to mention the main power bus junctions and substations that power the third rail. We’re talking months of tear out and refit work here. Jim’s comment prompts me to ask, how available are some of these components that will need to be replaced? My understanding (as someone who has not the slightest connection with the industry) is that parts for substations and other equipment are normally ordered well in advance of when they will be needed. 5/200years makes thistype of landfall once in 40 years occurrence so it’s not entirely unpredictable. On the other hand, just last year I commented on some blog that the meltdown of Greenland and the associated cold surface current along eastern seaboard of the north america might make these kinds of landfalls more uncommon in occurrence. It seems I was wrong. Is the cost of Sandy the sort of thing that gets included when counting the cost of doing nothing about global warming? I have in mind a piece about that; it’s still in the research stages. But I’d sure like to see an estimate of GW-attributable costs so far. My very rough and very incomplete first look suggests that we’re talking about tens of thousands of lives and more than a hundred billion dollars lost. But the numbers are far from rigorous, and just the definitional issues are considerable. I think no, since you don’t know whether under no climate change scenario Sandy would not happen, or you don’t know what is the added cost of Sandy by climate change. To count the costs one must be able to count the costs. It’s of no help to say that they must be included if nobody can make credible estimates. It’s neither a good option to include something just to be safe from underestimation because that results to a calculation that few take seriously considering it to be an obvious overestimate. A real calculation should be based on the net change in adverse effects. It should include both those areas where the risks are reduced and those where they are increased. Some estimates may be based in insurance company statistics and other comparable material which summarize all changes within their coverage, but this approach is also far from perfect. Unfortunately it’s presently not possible to base decisions on quantitative analysis of costs and benefits. Some other approaches are needed to support decision making. [Response: Curious that you decry all estimates, even quantitative ones “based on insurance company statistics.” Munich Re disagrees with you. I’m very much interested in environmental economics I would be very happy to have reasonably solid economic analyses as basis for decision making. Unfortunately what we do have a wide variety of analyses that give really different results. More or less everyone agrees that doing nothing is not the right solution but beyond that the conclusions are not clear. When I said that something else is needed I didn’t say that the conclusion should be that nothing or little needs to be done, I really mean only that some other approach must be used until better economic analyses are at our disposal. Take just the case of hurricanes: There is clearly not any agreement on how much their frequency or the damage caused by them depends on the CO2 concentration. You have some interesting analysis on recent threads but they do not give an quantitative answer on that question. Credible economic analyses require much more quantitative input. The conclusions depend also on many methodological issues on which the environmental economists are far from agreement. Perhaps most significantly the outcome depends on cost and benefit estimates that extend very far to the future. The present cost levels are almost impossible to estimate but estimating the costs at the end of this century is as difficult as it was to do economic calculations about the present at the beginning of last century. While economics is essential we lack good ways for applying it to issues like the climate change. It sets some constraints for what we can do but it does not tell what to do within these constraints. Therefore the economists have the tendency of concluding just that something needs to be done without telling what and how much. 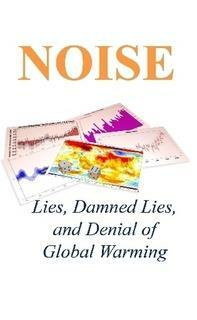 Doing nothing and letting matters take their course is a rational response to AGW. After all, hundreds of millions of people died in the European wars and pogroms of the 1st half of the 20th century, and thousands of cities devastated. Yet recovery, in largely unplanned fashion, took just 30 years. One could even argue (though unconvincingly) that the global effects of AGW would be less than those wars, or the cost of adaptation and mitigation. But in the light of what we do know about the physics of radiative transfer and the empirical evidence of rising global temperatures, the position that we do not know what the effects of AGW will be is not rational. Pekka, We have to make decisions based on imperfect and partial information all the time. It’s my day job. It is also the day job of financial analysts–and they bet billions on the outcome. Risk analysis is a well defined discipline. Define the risk, investigate the risk, bound the risk, mitigate and/or repeat. Bayesian decision theory is a very useful tool, because the probabilities we are dealing with are inherently subjective. However, that doesn’t mean they cannot be defined in a meaningful manner. I agree fully as far as you write in the above comment. Decisions must be made in spite of the uncertainties. My point is not that the uncertainties make the problem less. In the above comments I wanted only to tell that it’s just impossible to present even moderately reliable numbers. I wrote explicitly that therefore we need other kind of arguments. In my view that means concentrating more on qualitative description of what the changes are likely to be also in the economic front. From environmental economists I appreciate most highly Partha Dasgupta. He has not solved the problems but he has presented ideas that I consider most promising as starting points for more useful analysis. Estimating numbers is very important also as far as it is really possible but pretending that it’s possible much more accurately than it really is. In my own view we must learn to understand better what precautionary principle and sustainable development really mean. We must learn to find approaches that are robust in the sense that they are genuinely useful even when they are made based on information that later turns out to be seriously in error. I don’t refer here to errors in estimating the strength of the climate change but to errors in estimating its consequences on more detailed level (where it has its effects, what kind of effects, and when). Even more do I have in mind the uncertainties in estimating the consequences of the actions that we choose to make. I accept fully that the climate change is a serious issue. What I do worry is that mitigating it is really difficult. Many of the decisions made here in Europe have been worthless and many other far from cost-efficient. When the problem is as large as the climate change is we cannot afford the low cost-efficiency of the actions. There are many actions that are rather safe from the point of view of cost-efficiency but they are not effective. It’s totally normal that cost-efficiency and effectiveness are difficult to reach simultaneously. For me this involves a very serious dilemma. There’s a real need to act but too little understanding of the options available. Making decisions under uncertainty is done all the time but never under the same conditions. The complexity and time-scales make the climate change unique. We cannot base our decisions on experience from earlier similar cases but must do everything based on research based information and scenarios that extend much much longer into the future than we can even hope to see much about the state of the world. I think that what you are missing is that all the analysis requires is a bound to the problem. Once that occurs, resources can be allocated and mitigation efforts. Exactly how you come up with that bound is not important as long as it is conservative and fairly credible. It can be done with a Bayesian analysis using less than perfect data (of which we have a lot more than we have perfect data). In a pinch, it can be done by polling experts and taking an “average” of their estimates, or even a weighted average with weights bases on past success of the individual expert. It is not as if we don’t know how to do this. Quantitative analysts for hedge funds and stock portfolios do it on a daily basis. Engineers do it by the seat of their pants all the time (I’m trying to develop methods to make the process more formal in engineering). Is it subjective? No doubt. However, subjective is not a synonym for invalid. As I have noted previously, the probabilities we are dealing with are inherently subjective (in that they depend on the state of knowledge of the analyst at the time of the estimate). People like Judy Curry throw up their hands as soon as they encounter the “uncertainty monster”. That is piss poor science. A good applied scientist will train the monster to do tricks. Oh, I should point out that when you do this type of analysis badly, you get things like the Financial collapse of 2008. That is why you want it in the hands of experts. I think that the story of the 2008 collapse was really that you had these really smart guys playing with models who came up with something useful. When they showed it to their bosses, they took the models away from the physicists and gave them to the “huge swinging dicks” that normally inhabit Wall Street and who don’t understand why it is important that the data you use to train your model must be representative of the data you apply it to. The morale of the story: Never give a powerful financial instrument to a man whose testicle is larger than his brain. Pekka, your post is both too wordy and incomplete. It translates as “we can’t really tell as of now so we can’t decide anything, therefore we need a different approach.” Not only those in the business of dealing with losses disagree with you but you don’t even suggest what said approach could be. In the absence of any, even an overestimation looks good to me. I bet the people at Munich Re who have to manage hundreds of millions of whatever currency they work with would somewhat agree with me. So, what do you have to say that is constructive? Unfortunately it’s always easier to see faults in existing than to propose a good alternative. Pointing out the faults may still be useful. In this case I mean that calculating and presenting numbers using presently applied approaches fails so totally that the numbers are more misleading than useful. The alternative is to search for more robust semiquantitative approaches rather than apply fully quantitative that fail totally. It’s definitely possible but I cannot tell outright how it should be done in practice. It may involve qualitative descriptions, pairwise comparisons, ordering of importance and many other systematic methods which can take better into account the limited information that we have available. King Arnulf: [Hy-Brasil is sinking, everything is collapsing and exploding] Everyone stay calm! This is not happening! At some point it has to be dawning on Curry that she backed the wrong horse. I hope that her reputation and her conscience – should she possess one – were worth it. Backed the wrong homophone, too. “should she possess one”–the hypothesis is false, therefore the statement is true, regardless of the conclusion.